BCIMC manages over $150 billion in public servant pension fund money. It is the biggest meanest junkyard dog in British Columbia. When the dust had settled in the foreclosure proceedings against the English family, John English looked around for help and reached out to former British Columbia lawyer John Carten who had had his career destroyed by the criminal gangs operating inside the British Columbia government and its dirty lawyer allies at the Law Society of British Columbia. Mr. Carten maintains the Water War Crimes web site which tells the story of high level government insider corruption related to bulk water exports, including the shocking story of the murder of key witnesses, is visited daily by the Government of Canada, the Government of British Columbia and thousands of people all around the world looking for the truth about Canada. Mr. Carten reviewed the English case and quickly discovered that BCIMC was the beneficiary of the foreclosure proceeding. Based on the forensic principle that "he who benefits most from a crime is the one most likely to have committed it", Carten advised English to re-examine everything to look for evidence linking the crimes back to BCIMC and as they followed the trial of evidence it became clearly apparent that BCIMC and its partners in other agencies of the Government of British Columbia were deeply involved in the crimes and their cover up. The blog got immediate attention from BCIMC insiders who contacted Victoria City Police who called Mr. Carten and Joe Adam to threatened them. The police were obviously in the wrong and were advised to mind their own business, that everything was published true and that everything published was protected under the Charter of Rights that guaranteed freedom of speech. The police never contacted Mr. Carten or Joe Adam again. BCIMC then got its in house lawyer, Robert de Trois Maison, to threaten a lawsuit. Mr. de Trois Maison was promptly told that he should put in writing what, if any, statement on the blog was untrue and the editors would make the appropriate amendments. That was 3 years ago. Mr. de Trois Maison never wrote a word, the blog stayed up and continues to publish. Within six weeks of his being identified as a key player in the criminal conspiracy, Doug Pearce, the CEO of BCIMC and the highest paid civil servant in British Columbia, ($1.2 million a year), announced he was retiring. Mr. Fyfe had been CEO of the Public Sector Pension Investment Board in Ottawa for 11 years. PSP Investments then managed about $90-billion in pension assets for employees in the federal public service and was then Canada’s fifth-largest pension fund manager. The penalty is set out in section 355 of the Criminal Code of Canada. The Legal Meaning of BCIMC. 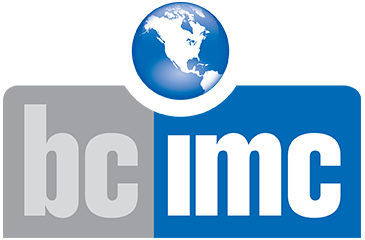 BCIMC is an acronym for British Columbia Investment Management Corporation which is the name of a corporation created by section 16 of Public Sector Pension Plans Act a law passed by the legislature of British Columbia. The definition section Section 1 of the Public Sector Pension Plans Act clarifies the meaning of investment management corporation. "investment management corporation" means the British Columbia Investment Management Corporation established under section 16. BCIMC provides investment management services to British Columbia’s public sector. BCIMC invests the funds not currently required by its clients to pay pensions and other benefits. As their investment manager, BCIMC is responsible for growing long-term client wealth while also protecting the value of their funds. We offer investment products across a wide range of asset classes, including strategic investment themes.